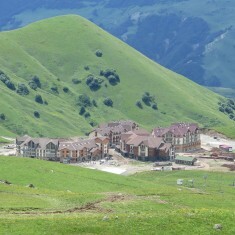 Gudauri | Gudauri | Ecosign Mountain Resort Planners Ltd.
Gudauri is located a 1.5 to 2 hour drive by car north from the capitol Tbilisi, a city of 1.5 million people. 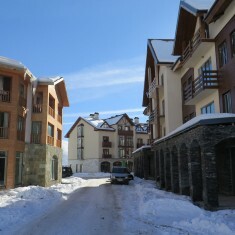 The resort was originally developed in Soviet times and was intended for competition training. 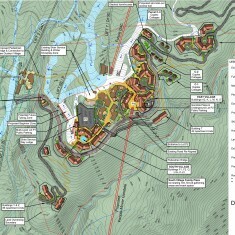 Very little effort had been made to provide customer friendly planning for a public ski area with facilities such as convenient parking, ski-in-ski-out accommodation, beginner skiing facilities, and on-mountain skier services. 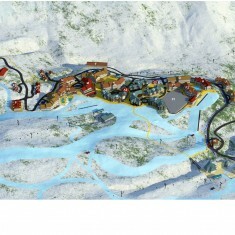 Ecosign was originally commissioned in 2010 to create an “Immediate Action Plan” for the resort in order to improve the existing facilities and create a new, modern slope-side ski village. 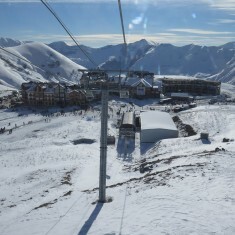 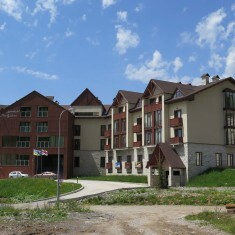 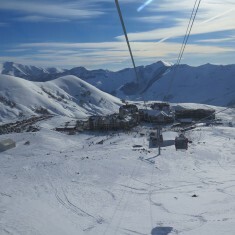 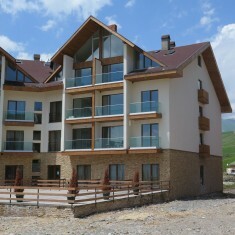 Following Ecosign’s design work, the “New Gudauri” resort base was constructed and included a new access road, beginner ski lift, tubing park, parking lots and two buildings were constructed during the fall of 2011 and summer of 2012, along with the new high-speed ten-passenger gondola. 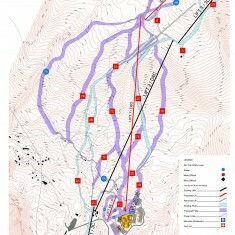 Business levels increased substantially in the 2012/13 season due to these improvements. 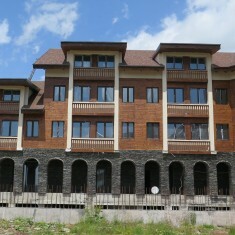 Construction commenced on two more buildings in the New Gudauri center in 2013. 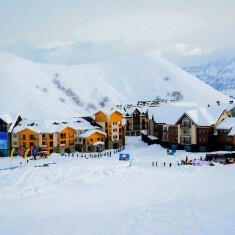 Since the implementation of the first phase of the master plan in 2011, Gudauri has seen an incredible increase in the number of skier visits and summer sightseeing visits and is perhaps one of the fastest growing ski resorts in Europe and quite possibly the world. 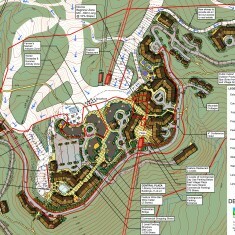 We have now been commissioned to create a total forward looking “Resort Master Plan” which includes expansion of the ski facilities (modern new lift technology, snowmaking etc.) 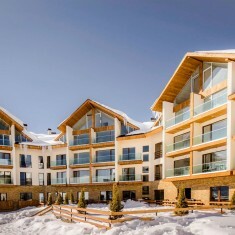 to the north-facing terrain which extends to the “Kobi” region of the resort, expansion of summer and winter recreational activities other than skiing and snowboarding, expansion of the resort base facilities including commercial village center (restaurants, bars, retail shops and overnight accommodation), additional ski-in ski-out resort hotels and real estate, organized parking areas for guests/ tourists, infrastructure, services and facilities for local residents and employees.